An afternoon of timeless movies featuring Laurel and Hardy, the greatest double-act of all time, is to be screened at Stourbridge Town Hall. “The Very Best of Laurel and Hardy” is on Sunday April 7 and features three films by Stan and Ollie, whose comedy adventures continue to delight audiences the world over nearly a century after they were produced. The screening includes The Music Box, which won the 1932 Academy Award for Best Comedy Short and sees the two famously struggling to deliver a piano, and 1928's silent masterpiece, The Finishing Touch. Concluding the bill is 1933's Sons of The Desert which finds 'The Boys' hatching a cunning plan to deceive their wives so they can attend a lodge convention in Chicago. The films will be introduced by John Ullah, from the Birmingham branch of the international Laurel and Hardy Appreciation Society. 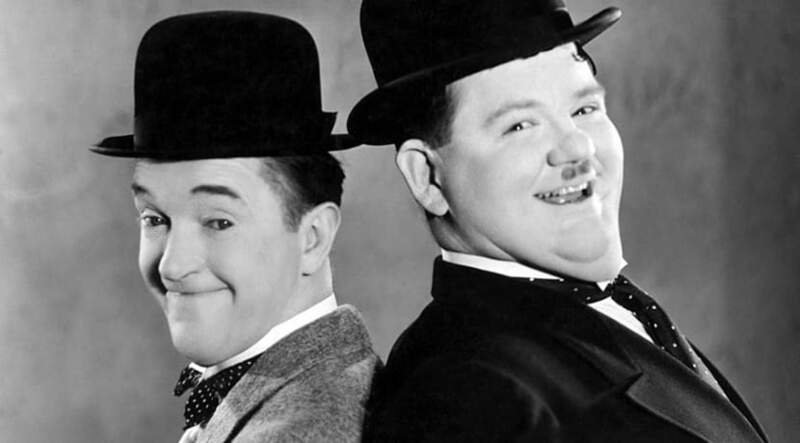 The bowler hat-wearing Stan Laurel and Oliver Hardy were two of cinema's greatest stars. First paired in the late 1920s, they made over 100 screen appearances together before retiring in the 1950s. Still popular today, the story of the duo's farewell tour is recounted in the new film, Stan and Ollie, starring Steve Coogan and John C. Reilly. Tickets for The Very Best Of Laurel and Hardy cost £9. The screening starts at 2pm.